Vodafone already had an electronic display security system, but phones got stolen more and more often. Gripzo's dealer in Ireland introduced Vodafone to Gripzo. After running tests in a special test store in Ireland, they immediately saw the valuable contribution Gripzo could make. 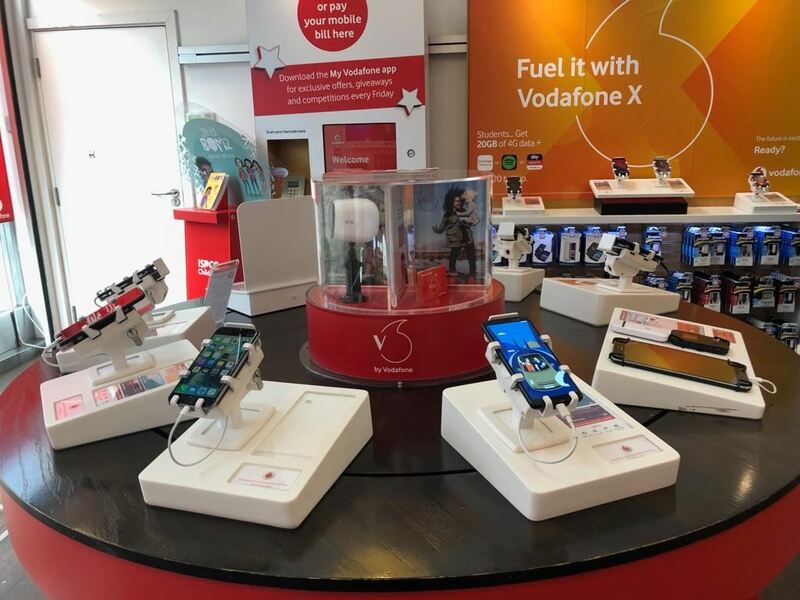 There has been zero theft to date and Gripzo will be used in all Vodafone stores in Ireland.